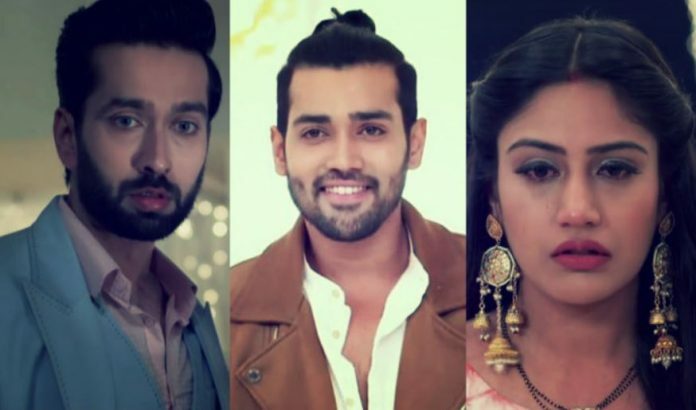 In Ishqbaaz, Shivika’s cat and mouse games go on. Shivay cancels the Lilies order and tells Khanna that he doesn’t want anything that hurts Anika. Anika asks Shivay why did he cancel the order if he doesn’t care for her. He maintains his word that he cares for everyone and she is no special. She wants to make him accept that he really gets affected by her presence. Gauri and Omkara make plans to bring Shivika closer. Gauri gets a cockroach and drops it near Anika. Anika shouts to Shivay for help. Shivay gets scared of it as well. He tells her that he is scared of cockroach, since he has a phobia of animals. Omkara and Gauri ask Shivay to help Anika. Anika gets dizzy by fear. Shivay catches the cockroach to save her, and then gets fainting by fear. Anika worries for Shivay. She apologizes. She doesn’t want to prove anything at the cost of his health. Shivay tells her that he knew her planning. He won’t accept their stunts, he knew its their planning as they always have pest control going on at mansion regularly. Anika tells him that she has finally proved herself, that he cares for her. Omkara tells them that its not easy to fool Shivay. Priyanka and Jhanvi prepare for Anika’s Shagun rasam. Anika gets happy and takes the responsibility to keep the jewellery inside the safe. She gets locked up in the vault. Shivay hands over the important business files to Tej. He asks Tej to stay with them and complete the family. Tej tells Shivay that its tough for him to live without the family. He tells how he had to leave everything and go away because of the defamation got by Shakti. He asks Shivay not to become like Shakti. Shivay tells Tej that he isn’t like Shakti. Tej hurts him unknowingly. Shivay gets insulted because of Shakti. Anika shouts to Shivay for help, while he sinks in his sorrow over her father’s misdeed. Shivay recollects his mum and dad’s journey. Anika gets dizzy inside the vault. Omkara and Gauri look for Anika. They have no idea where Anika is locked up. Jhanvi asks them to call Anika for the Haldi rasam. Shivay learns that Anika is missing and gets a big shock. Gauri tells him that Anika is nowhere. Shivay learns that Anika has gone to the vault, and checks for her. He finds her in a collapsed state and gets panicking. Anika gets time and realizes Shivay’s concern once again. Anika asks Shivay to realize his love. He thinks she has done this by purpose to win the challenge. He asks her not to waste her time on him, since he doesn’t care for her presence. Priyanka tells Shivay that Anika just went to the safe to keep the jewellery. Tia and Daksh get angered when Shivay breaks relations with them. Tia blames Daksh for ruining everything. Daksh tells her that he will fix everything and make Anika out of Shivay’s life. She doesn’t believe him. 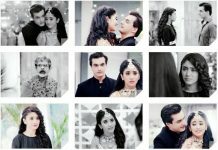 Anika tells Shivay that they always misunderstand each other. He apologizes to her. He asks her not to get upset or stop talking to him. She agrees to forgive him if he admits that he really cares for her. She asks him to apply her haldi in the ceremony as well. Shivay falls in Anika’s next trap and applies haldi to her. Anika conspires to get all the pre-marriage functions done by Shivay.